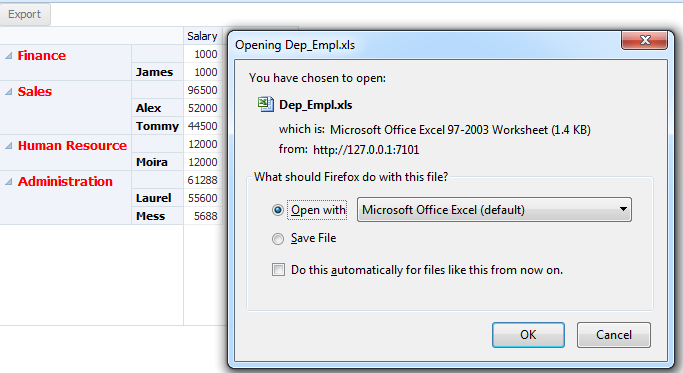 This post is about exporting tree-structured (hierarchical ) data to an excel file. 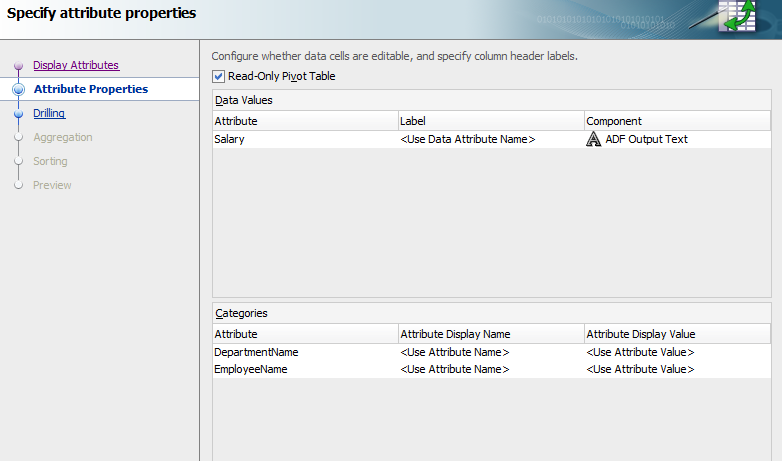 The Pivot Table supports the display of multiple nested attributes on a row and column header. 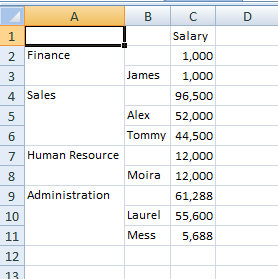 In addition, the Pivot Table supports the ability to dynamically change the layout of the attributes displayed in the row or column headers via drag and drop pivoting. 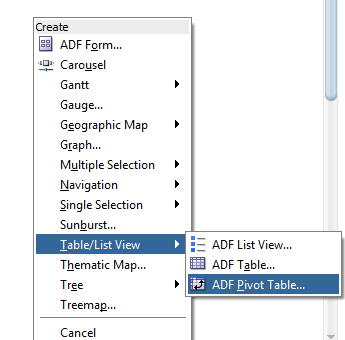 Is it possible adf pivot table using master details relationship? 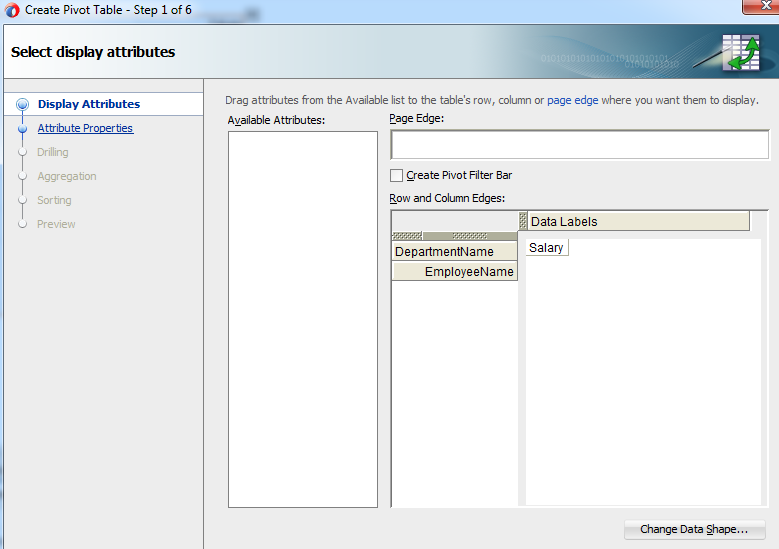 Let say in my master department table dept id 100 and in employee details table 5 employee belongs to dept id 100.same way for dept id 101 ,5 employee are there etc.My requirement is,my pivot table will dynamically show in UI separately for 10 employee one pivot table and for 5 employee another pivot table like this. have you any idea about this problem ? please check it,there is no answer for this problem. Doesn't work fine means what ? 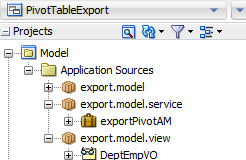 Is scrollbar not appearing ? 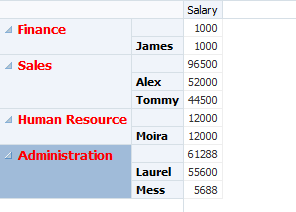 The scrollbar is appearing.let's talk about a scenario.you have a pivot table with 10 columns,1 to 10,columns number 1 to 5 are visible and number 6 to 10 are out and you need to scroll left to see them.when you scroll left columns should go right but they go left too.this problem happens only when the page is right to left. Did u test it ?